At last , after several weekends of not being able to go to Powerplant mall (at Rockwell, Philippines) alone, I finally got the chance to buy my very first pair of Vibram Five Fingers KSO. I was really hesitant to go there by myself due to the fact that aside from not being familiar with the place, I'm not comfortable going there by commute. Its a good thing my friend Gino accompanied me to the place (where he also got his new Casio G-shock blah blah blah). KSO stand for "keep stuff out" and its main purpose is to keep debris and dirt from going into your feet thereby protecting you from scratches and dirt. 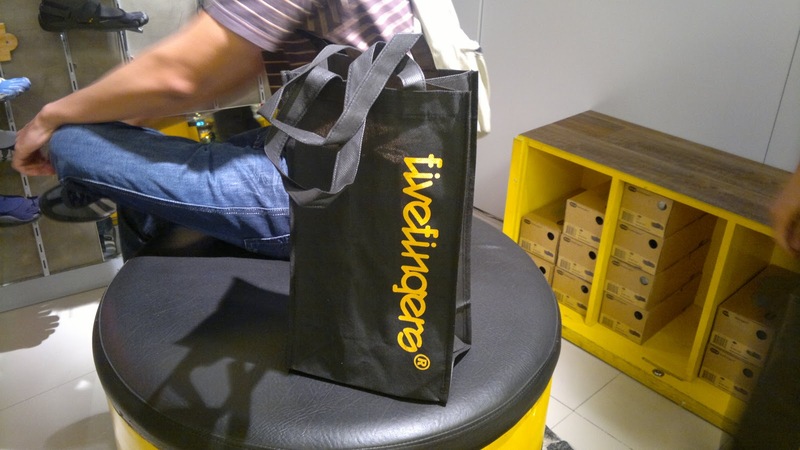 Anyhow, anywhere, I bought my vibram five fingers KSO at 2nd floor Power Plant Mall, Rockwell (near national bookstore) for P 4.9k . 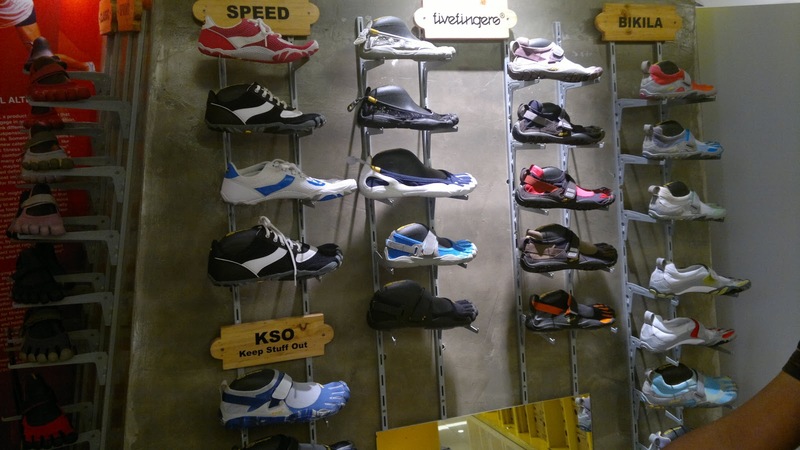 Classic are cheaper at around 3.9k, while bikila and sprint are around 5.7k. 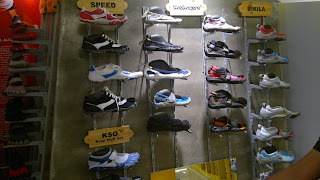 At first glance, I really liked the bikila and sprint because of the padded soles and lining. I think it will be more comfortable to wear. 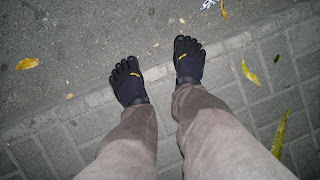 Classic on the other hand is cheaper and is cooler because of less covering of the feet, but since I originally planned to use my first five fingers on outdoors, trekking, trips, walking, training, sports etc I think KSO would be the most logical choice. 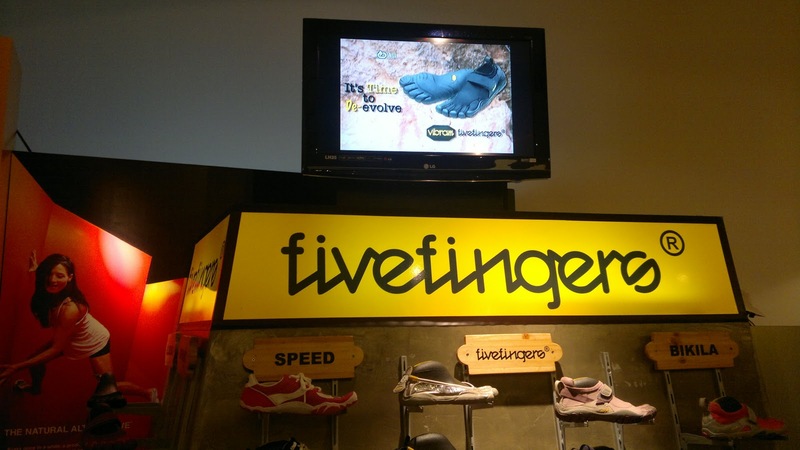 Its an all around footwear. I can use KSO on wet environments without worrying about cleaning and drying. 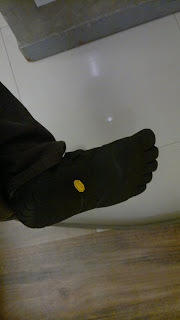 Vibram Five finger shoes are treated with Aegis protection, an anti microbial microfiber that minimizes odor. As I said, it doesnt feel much different than walking barefoot. Its just the you feel more secure that even if you step on jagged rocks and cements , your foot wont be hurt. Keep in mind though that only the soles has a hard protection, the mesh or what every material you call it on top is still permeable to pointed objects so still be more careful. I will update this post, as I spend more time using my Black KSO. Order copy of Official bankruptcy county court records, Bankruptcy discharge papers $9.99, bankruptcy creditors listing $19.99 and complete file for $29.99 at lowest cost on web. 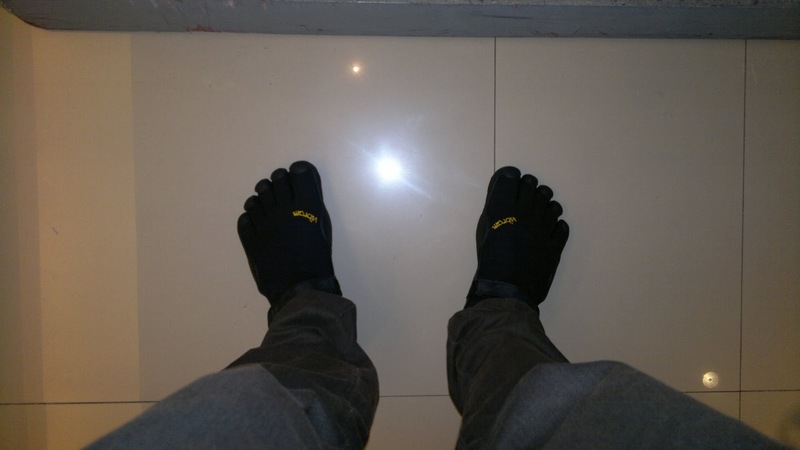 i like five finger vibrams better ,five figner vibrams makes the toe boxes on their feet nice and wide,and you will see your calves and bare feet in the process of your running which is the best way to train your muscles of feet and legs.let's go to five finger vibrams to have a pair to have a try,Trust me that you will feel very satisfied.